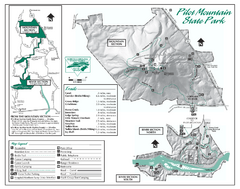 Official NPS map of the Blue Ridge Parkway. 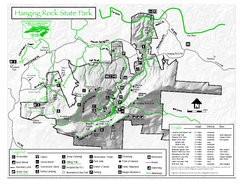 The Parkway meanders 469 miles through Virginia and North Carolina between Shenandoah and Great Smoky Mountains National Parks. 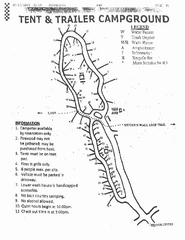 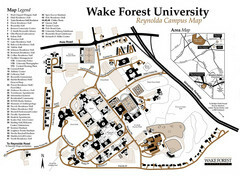 Clear and detailed state park map. 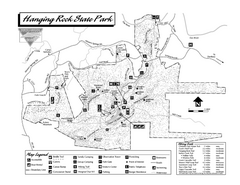 Interior color map of Hanging Rock State Park.